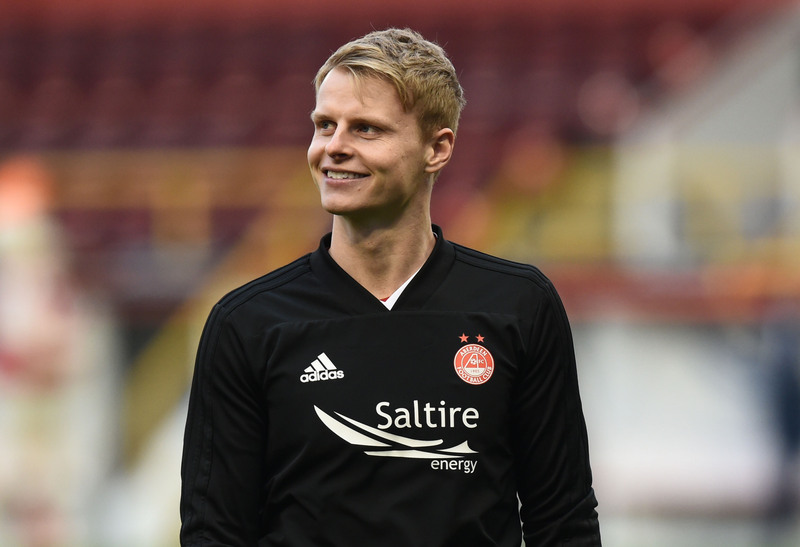 Aberdeen's Gary Mackay-Steven is one of several out-of-contract players. Gary Mackay-Steven needs more than a New York minute to consider his future. The Aberdeen winger is a wanted man, with an alluring opportunity to ply his trade in the Big Apple come the end of his Dons contract. New York City approached the Dons during their trip to Dubai for permission to speak to Mackay-Steven, who is out of contract in the summer. City, who are majority-owned by the City Football Group, which also has controlling interests in Manchester City, Melbourne Victory and Girona, are trying to finalise their squad for the next MLS season, which begins in March. Mackay-Steven said: “It’s a bit crazy. I said to the gaffer that it’s not been in my thinking, either staying or moving. I’ve just been focusing on getting back and playing. I said to him that I need a bit more time. I’ve not had a chance to sit down and speak with my family about anything. That’s where we’re at and there’s been no change. “It’s not unsettling at all. I think I’m good with different transfer windows and dealing with speculation. I never really take much notice of anything. I’ve even said to my agent that I’ll think about it when the time is right. Right now, it’s just been about getting fit and playing my first competitive game back. That’s all I’ve been focused on and now Hamilton is coming up so I’m focused on them now. I’ll sit down and see about it at some point but the first to know will be the manager. Mackay-Steven is close friends with fellow Scotland international Johnny Russell, who plies his trade at Sporting Kansas City and was his team-mate at Dundee United. His example highlights moving to the States does not mean the end of your Scotland prospects. Gary Mackay-Steven returned to action against Stenhousemuir. The immediate focus for the 28-year-old has been returning to the field after his horrific head injury, sustained in the Betfred Cup final after a collision with Dedryck Boyata. Mackay-Steven was stretchered from the field at Hampden Park and did not feature again until the 1-1 draw with Stenhousemuir on Saturday. He said: “It’s an injury you can’t take lightly – I’ve had effects from it up until the midweek break in Dubai. I was getting different symptoms and it wasn’t a nice time. The medical staff here know a lot about brain injuries and concussions, so I was in good hands. “There’s no timescale. Every injury of that type is different. It took longer than people maybe thought but the physios and doctors I spoke to and having known a bit about concussion; I took an interest in it after Andy Considine got a concussion in pre-season against Cove. I started looking into it and knew you could get symptoms for a period after it. “I came round as I was coming off the pitch. I can’t remember too much – I was out for a period of time and as I was getting carried off, I remember vague bits. I was a bit all over the place; when you get a head knock you don’t really speak much sense for a while. I remember the cross coming in and then I just remember being on the stretcher.